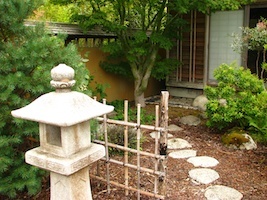 The 2019 Tea and Zen Seminar will be held at Green Gulch Farm Zen Center from Wednesday, July 31, to Sunday, August 4. This seminar offers the opportunity to study tea in the Urasenke Tradition, join the Green Gulch community in Zen meditation, explore the connection between Zen and the Way of Tea, and enjoy the relaxed setting of a temple surrounded by acres of beautiful parkland. 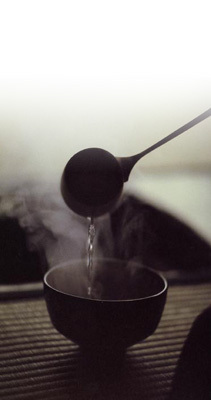 Following the five-day seminar, a special two-day Tea and Incense workshop will be offered August 5 and 6. The Way of Tea and the appreciation of incense have long been intertwined. This workshop will explore those historical connections, as well as how incense is enjoyed and practiced in the tearoom. Instruction will begin with how to prepare the incense burner (koro), and the manner in which to appreciate incense, and then proceed to temae and shichijishiki procedures that include incense. Both fragrant wood and blended incense will be addressed. It will be a redolent two days! Participants may attend both the seminar and workshop or either event separately. Seminar and workshop are open to those currently studying tea in the Urasenke Tradition. For more information, please visit www.sfzc.org or contact Green Gulch Zen Center at tea@sfzc.org. The Foundation welcomes school groups (kindergarten through university) and other groups for lecture-presentations at its tearoom facilities. These occasions are individually designed to the interests of each group such as language, literature, aesthetics, philosophy, or history. Please telephone 415.433.6553 to make arrangements. The Northern California Chayu no Kai or Friends of Tea Association provides opportunities for camaraderie and the enjoyment of the culture of tea among practitioners of the Way of Tea. You need not be a member of the Urasenke Foundation San Francisco to participate; Chayu no Kai membership is open to all. 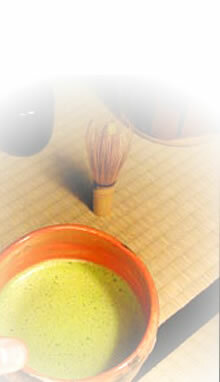 Activities are based on knowledge of tea practice. Chayu no Kai events include regular kagetsu classes in addition to various workshops, chakai and chaji throughout the year. Please call the Urasenke Foundation at 415.433.6553 for more information on joining.